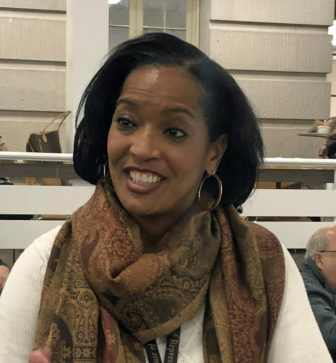 Washington – Rep. Jahana Hayes, the 2016 National Teacher of the Year, has been given the job in Congress that she really wanted — a seat on the House Education and Labor Committee. The committee has jurisdiction over federal education issues and labor concerns, including wage and workplace safety issues. Hayes, D-5th District, lobbied House Speaker Nancy Pelosi for the job. In a statement released late Monday, Pelosi announced Hayes was assigned to the committee, as were 13 other Democratic House freshmen. Pelosi also announced 16 new members to the House Armed Services Committee and one new appointment to the powerful Ways and Means Committee, Rep. Jimmy Gomez, D-Calif.
Gomez won a seat on that committee after Latino lawmakers complained that there isn’t a Hispanic on the panel, which has oversight of tax policy and Social Security. A former high school history teacher and school administrator, Hayes was elected in November to fill retired Rep. Elizabeth Esty’s seat.